Fast Fold Screen with either Front or Rear Projection Surface. 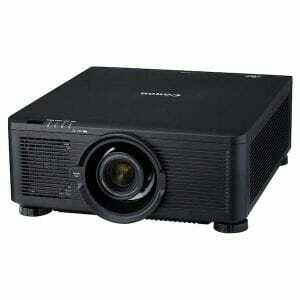 The Fast Fold Screen (4:3) features a durable design ideal for rental and staging environments. 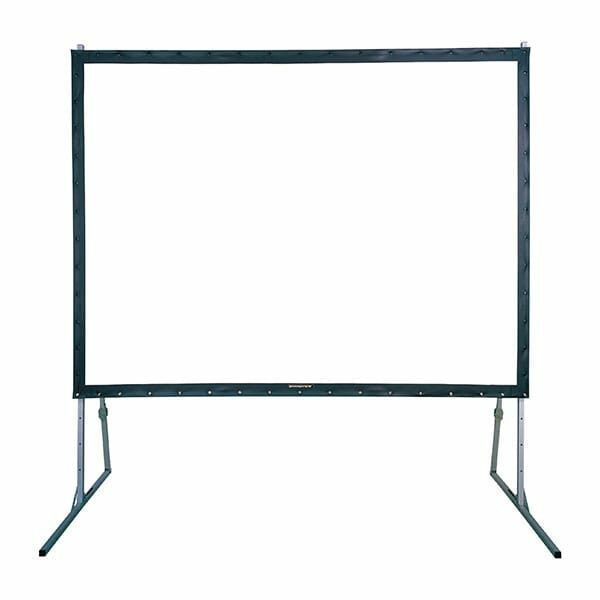 The front or rear projection surface is attached by press studs to the aluminium frame and the legs can be attached at various heights to suit each venue. Easy release latches on the frame allow for efficient set up and take down. I'm not sure exactly what equipment I need. Can you help? Yes, we’re always happy to offer no-obligation advice to help you find the most suitable equipment for your project. Can we just rent equipment from you and set it up ourselves? Yes, we offer a ‘dry hire’ service where we deliver the equipment or you collect if from us and then set it up yourself. Can you set up equipment for us? Yes, we can offer any level of service you need from a simple projector or PA system set up to a full event production service. Yes, we can deliver to you. Our rate varies depending on your location and our schedule and we always aim to be as competitive as possible and if your venue is on our route for a particular day, we will deliver free of charge! Can we pick up from you? Yes, you’re welcome to pick up equipment from us in King’s Cross anytime during opening hours. We’re located just outside the congestion charge zone and have free parking available. Can we test the equipment first? Yes, if you would like a demonstration of any equipment, just let us know and we will arrange this for you. 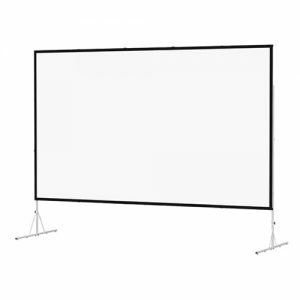 The Fast Fold Screen features a durable design ideal for rental and staging environments. Different sizes available. Enquire now!